I am back with New App named VeeU App. 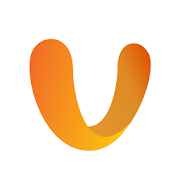 VeeU is a fresh, new video community whereby individuals can express opinions, share the hottest and funniest videos! Spend time watching millions of enjoyable and amusing short videos while making new friends all around the world. Here is a new app where you can Redeem your Earnings as Amazon Vouchers or Earn PayPal Cash. You just have to watch videos and Refer friends to earn free PayPal Cash and you can Redeem it in your Bank Account Directly. 2. 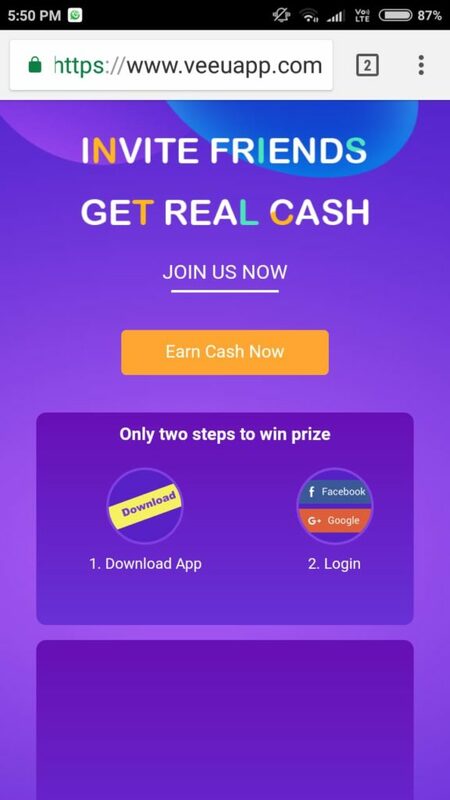 It will Redirect you too Browser and Click on Earn Cash Now Option and Go to Play Store. 3. Open App and Sign Up Using Facebook or Google Profile. 4. Allow Profile to use VeeU App and Now Move to Dashboard of the App. 6. 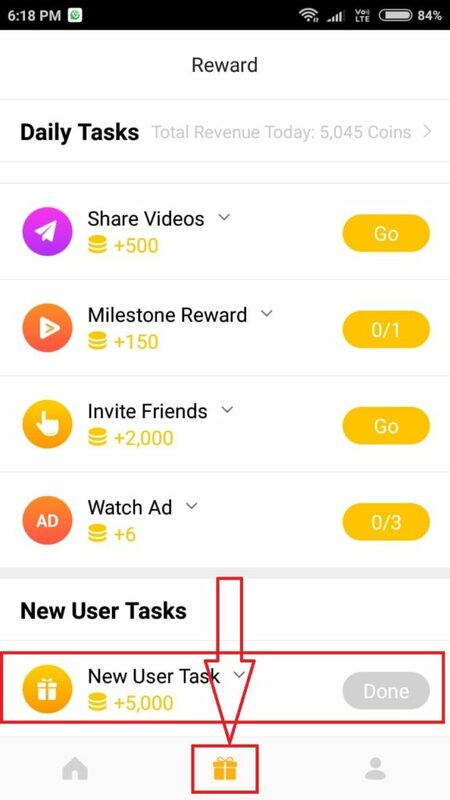 Move to Dashboard and Now MUST WATCH AT LEAST 3 MINUTE VIDEO to Get 5000 Coins equals to Rs.36 in your Account as Sign Up Bonus. 7. 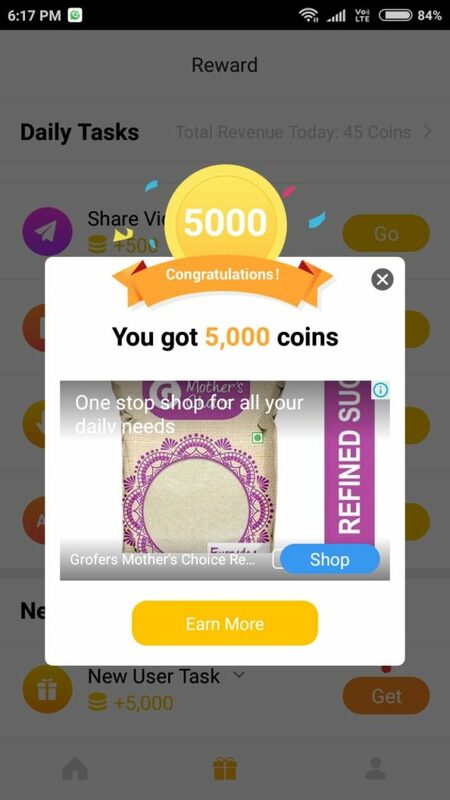 Now Click on Gift Box icon from center and Click on New User Task and Redeem your 5000 Coins after Watching 3 minutes Video. 8. You will get 5000 Coins worth Rs.36 instantly in your Account. 9. Now Move to Invite Friends and share your refer link / refer code with your friends and you will get 2000 Coins per Refer. 10. Minimum Redeem is $15 in PayPal and Amazon Voucher! Start Referring and Start Earning Real Cash! Go to Profile > Redeem > to Redeem your Coins! How To Earn More Coins? 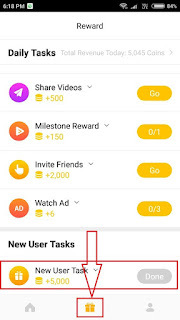 Each invited friend needs to watch videos in VeeU for at least 3 minutes for you to earn $0.2 in referral rewards When your friends earn coins, you earn coins! The request to redeem will be reviewed before payment. The approved payment will be delivered within 7-15 business days, please be patient. Fees may apply to all transfers and vary with corresponding tax laws. Redemption is only available on Sunday.